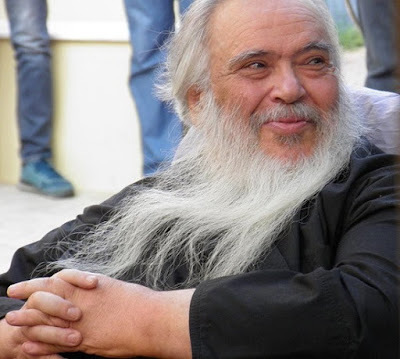 On Wednesday, 1 August, at the beginning of the fast for our Most Holy Lady, whom he loved so much, Archimandrite Gabriel Tsafos, the parish priest of the Chapel of Saint Andrew on Leukosia Street in the Archdiocese of Athens, fell asleep in the Lord. 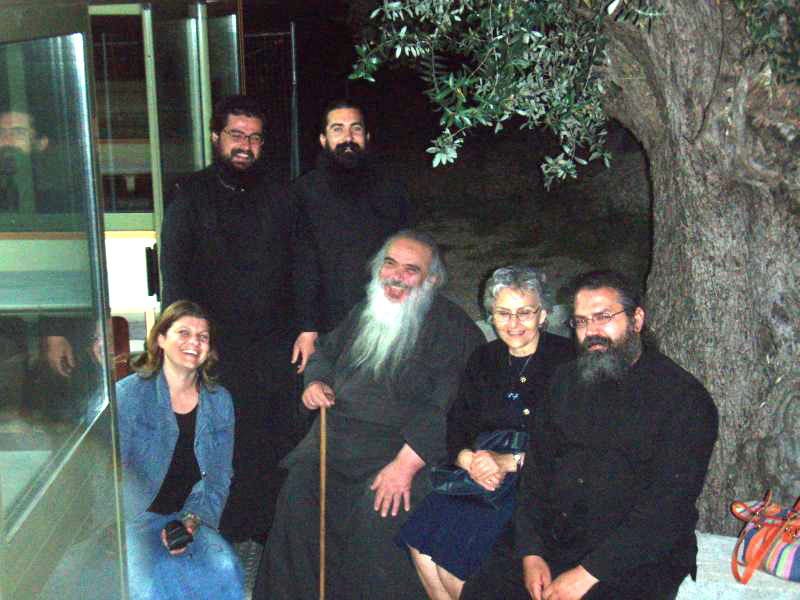 Father Gabriel (baptized George) was born on 6 June 1944, in Athens, and was the fourth child of Vasilios and Eleni Tsafos, devout refugees from Asia Minor, who settled in the refugee neighborhood of Polygonos. Influenced by the experiences of ordinary people, as well as by his mother’s stories about the Asia Minor catastrophe and the resulting flight from the ancestral homelands, he always spoke of the traditions of Asia Minor, emphasizing the fervent faith, the simplicity and the joy in life that characterized the people from Asia Minor even in the most difficult times. From a very early age, he felt a strong call to the priesthood. He studied at the Theological School of the University of Athens and was ordained Deacon on 3 July 1969, by the late Metropolitan Gabriel of Thera, serving in the Church of Saint Vasilios on Metsovo Street in Athens. 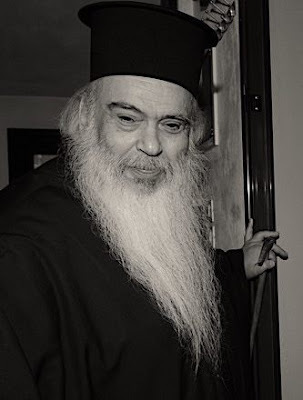 On 21 July 1974, he was ordained Priest by Metropolitan Anthimos, then of Alexandroupolis, now of Thessaloniki, and thereafter served continuously in the Chapel of Saint Andrew on Leukosia Street, off Amerikis Square. As he himself said, it was in 1967, when he was a student at the Rizario School and a lay catechist, that he first entered the hallowed Byzantine Chapel of Saint Andrew, where all the icons are painted by Photis Kontoglou. 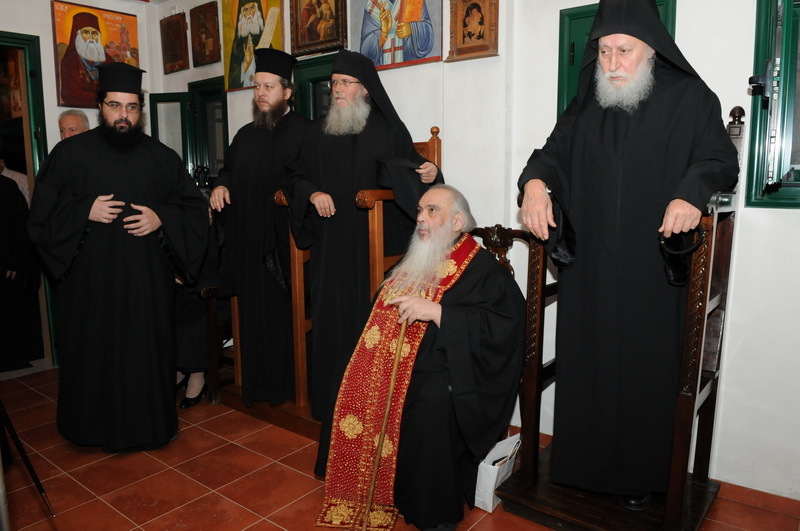 There he asked Christ to be allowed to complete his life as a priest in this church, in which Saint Philothei the Athenian was martyred in 1588. And Christ did, indeed, grant him this. For some fifty years, he served the Church with unparalleled dedication and selflessness. 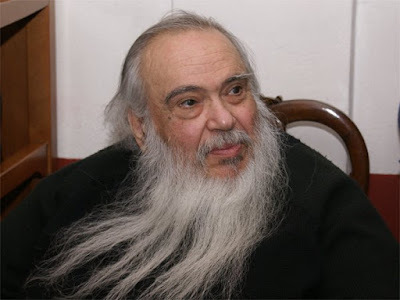 He liturgized beautifully, was a discriminating and caring spiritual guide for thousands of people, and made a silent but substantial contribution in difficult times and in an area which, in recent years, has also become an equally difficult location in Athens. If you met him, you couldn’t help but feel joy, hope and optimism. He always had a smile on his lips. 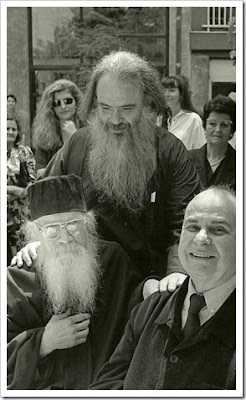 It was impossible for Fr. 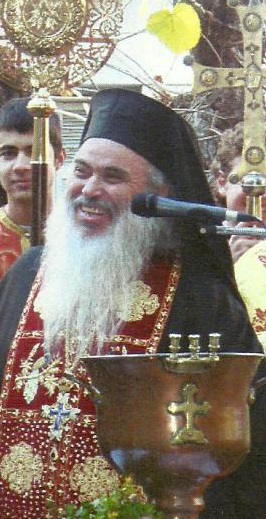 Gabriel to conceive of Christians believing and loving Christ and not experiencing His joy, no matter what difficulties they faced in their lives. His heart was full of the joy and love of Christ. 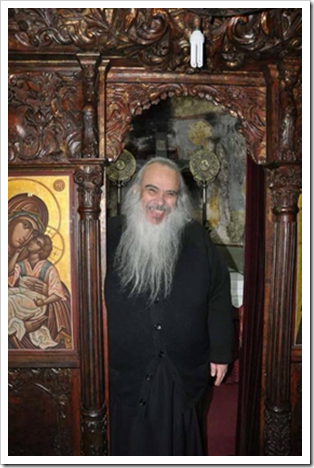 He was the Elder of Joy. He brought dozens of clergy and monks to the Church, blessed and sustained many families, supported weak and lonely people, while God alone knows how many people he consoled, inspired and brought to Christ. In 1996, he founded the Monastery of the Panagia of Vryoula (Vourla), and there are, today, five nuns living in the dependency of the monastery in Oropos, all of whom are his spiritual children. 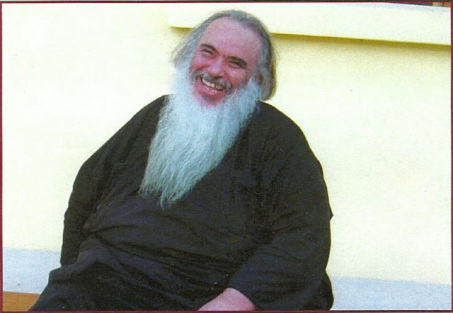 "I know a spiritual father who is on the portly side - of course it’s the way he’s made, but maybe he’s not so careful about what he eats, either. But do you know how much he cares about other people, how concerned he is about people in pain? He has humility because he says he’s not much of an ascetic, but at the same time he has so much kindness. There are so many people who feel more at ease with him than they would with an ascetic spiritual guide. A spiritual father who’s not prepared to go even to hell for the love of his spiritual children isn’t a spiritual father." 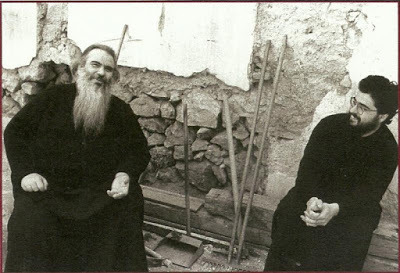 (Elder Paisios, Spiritual Counsels, Volume III). 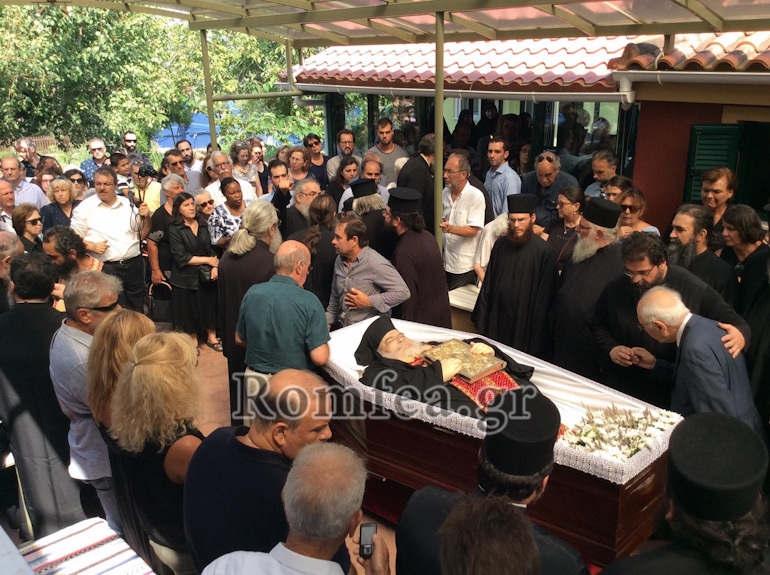 On August 2nd, thousands of faithful and a multitude of clergy gathered and bid farewell to their Elder at his monastery.